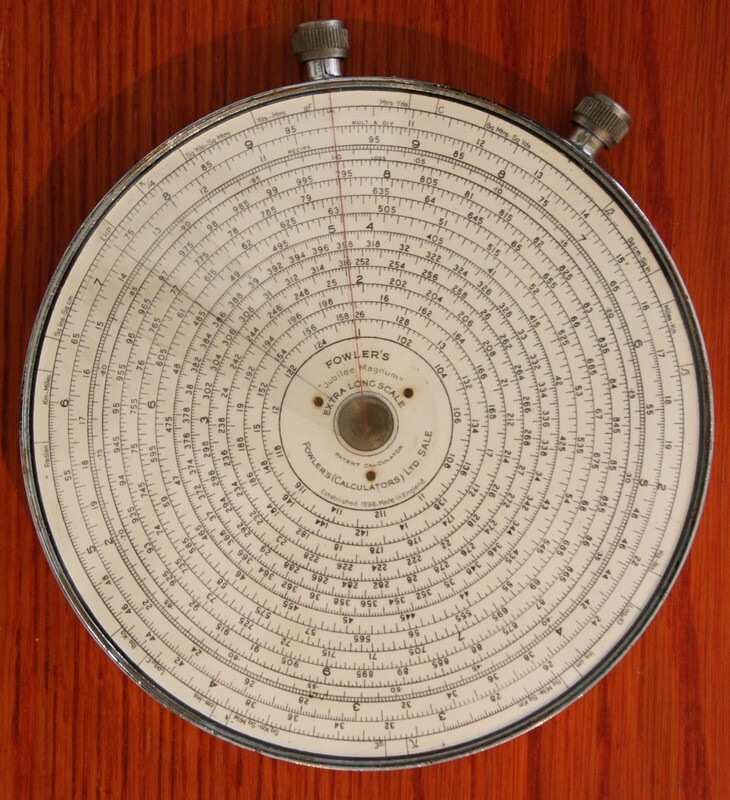 Fowler's Jubilee Magnum Extra Long Scale calculator, designed in 1948 by Harold Fowler to mark the 50th anniversary of the founding of the firm by his father William Henry Fowler in 1898. 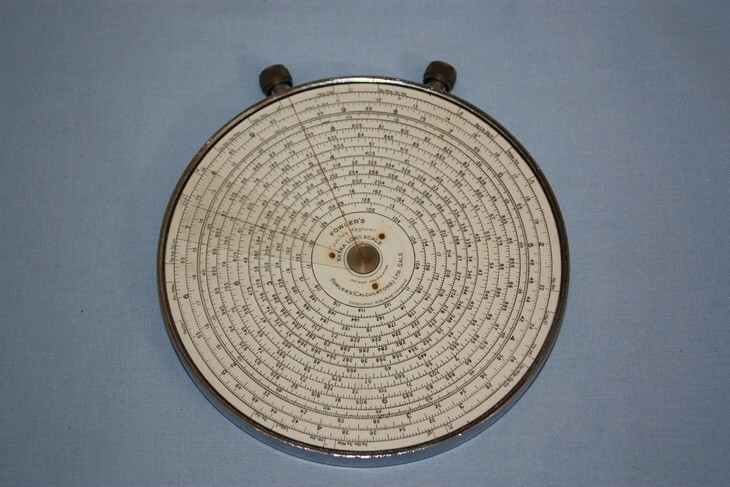 This was the largest circular calculator made by Fowler's, measuring 120 mm in diameter, and it has a 2 metre long spiral scale extending over ten turns. D Scale length: 2859 mm. Significant digits: 4.1 to 4.7. Copyright © 2012, Dave Hoyer.